Numbers in the Elite category are restricted, The Balmoral Swim organisers reserve the right to determine who will be part of the Elite wave. Any entrants that nominated for the Elite category but are not selected to be part of the Elite wave will be allocated to the relevant gender wave. No on the day entry available. SNSW Summer Swim Leaderboard series in under 2 hours and must be 14years or older on race day. 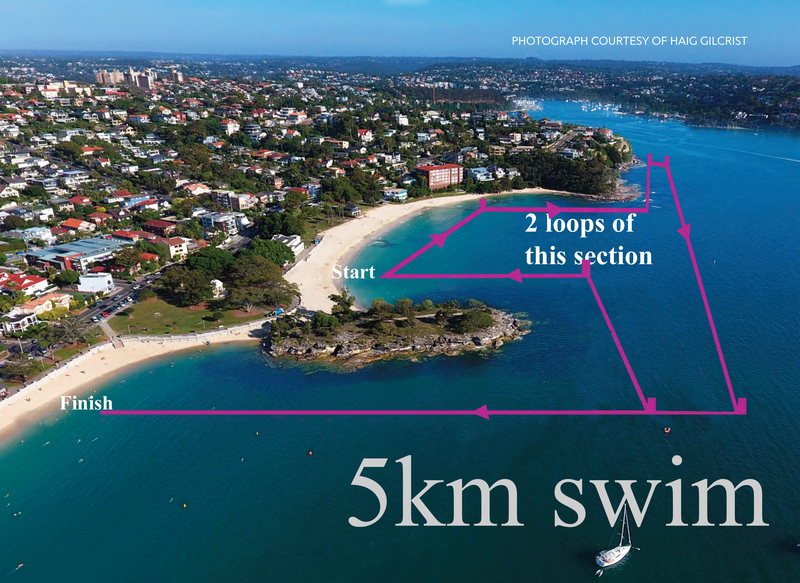 Your entry allows you to also swim the 1km. Register for 1km swim on the day. Registration is from 6:30am near the Rotunda (near cnr The Esplanade & Mandalong Rd). Please get there early to avoid delays. All swimmers need to bring some form of ID to pick up their race packs near the Rotunda. This year we are part of the Swimming NSW Swim Leader Board joining forces with some of Sydney’s most iconic open water events. We are the last 5km swim even in the Summer Swim Leader Board. Swimmers can earn points by competing in one or all of the included 5km swims. The more you enter, the more points you get! You do not need to be a member of Swimming NSW to enter any of the swims and inclusion in the Summer Swim Leader Board is completely free! Any 5km competitor that also wants to swim the 1km will need to register for the 1km after completing the 5km, we will waive your 1km entry fee if you do decide to swim the 1km. There will be a bag drop tent located on the grass next to the Rotunda open from 6:30 am. Toilets are located at the north, south, and center of Balmoral Beach at Bathers Pavilion, Balmoral Baths and the Bus Shed. The presentation of prizes to all 5km winners and place getters will also take place on the day of the event after the 5km swim finish . Prizes will not be posted out if you are not there to claim your prize. The Alexander Patrick Hall trophy is awarded to both the individual swimmer and team who raise the most money for the Balmoral Swim each year. Judges will award the prize to the team and the individual who have raised the most money by 8pm on the Saturday before the race. Set up your Fundraise page now and see how you are going in the Alexander Patrick Hall trophy .